Chinese scientist He Jiankui of Shenzhen Harmonicare Women's and Children's Hospital revealed that he had edited the DNA in a pair of human embryos, disabling a gene required for HIV infection to take hold. Then his team transferred the embryos into their mother's uterus. Trained at Rice and Stanford universities, He offered no independent confirmation or peer-reviewed scientific article to support his claim. If it is true, the twins would represent the world's first genetically edited babies. The ethical debate over "designer babies" has focused on using gene-editing to select such traits as eye color, intelligence or athletic prowess. But He focused on another trait that is highly prized in China: resistance to HIV. He had recruited seven couples in which the prospective father was HIV-positive and the mother was not. The couples were offered free fertility treatments and the chance to have a gene called CCR5 disabled in their embryos. The edit was made when the woman's eggs were fertilized with her husband's sperm in a laboratory dish. News of He's experiment set geneticists abuzz at a time of vigorous debate over when, where and for what gene-editing should be used in humans. Last year, scientists at Oregon Health & Science University reported the use of gene-editing techniques to rid embryos of familial hypertrophic cardiomyopathy, a heart disorder that can cause premature death. Critics grumbled that editing embryonic DNA was overkill when safer means of preventing the hereditary disorder already exist. In any event, the gene-edited embryos were never implanted in a woman's uterus. The Los Angeles Times spoke with Michael Snyder, director of Stanford University's Center for Genomics and Personalized Medicine, about why the prospect of gene-edited twins is so discomforting. Question: Is the claim is plausible? The technology is there now to manipulate genomes, the DNA in people's cells. It's going on pretty routinely in research settings. But the gene-editing work that's generally underway in labs is not being done on embryos, as was reportedly done here. It's being done in the cells of adults with diseases. People are working hard to optimize the process, and to make it as error-free as possible. Q: What's different about embryos? A: What was reportedly done in China is called germ-line editing. It makes changes in reproductive cells that would be passed down to future generations. That's potentially more consequential than introducing a gene change in a single individual. So understanding any downstream risks of gene-editing is even more important. Q: What kind of risks? A: We need to have greater confidence in the safety of editing genes to eliminate the possibility of what are called off-target effects. This is where you're fixing the regions you intended to change, but you're making changes elsewhere in the DNA that can cause harm down the road. There's debate about the safety of these gene-editing techniques. Some think these off-target effects happen a lot; some are more confident that they don't. But these unintended consequences definitely occur, so it's not zero. Q: If the new report is true, is it a scientific advance or an ethical Rubicon? I do think there will be a time when this kind of gene-editing technique is used. But there's definitely an ethical issue with doing it now. When it comes to disease repair issues, it's not quite as big an issue to try an experimental technique with possibly unforeseen consequences. You have adults who are seriously ill and who may not have other treatment options. You can explain the risks and uncertainties of an experimental treatment, and they can consent to run those risks. Q: But that's not the case here? This study is not published, so it's hard to know how true it is. But imagine if it's true: You could have made off-target changes in the DNA of these two infant girls that don't become clear until later in life. And you've run that risk in order to prevent them acquiring HIV infection—a treatable condition that's readily prevented by other well-established means. There are trials underway on protecting people from HIV by editing adult cells. 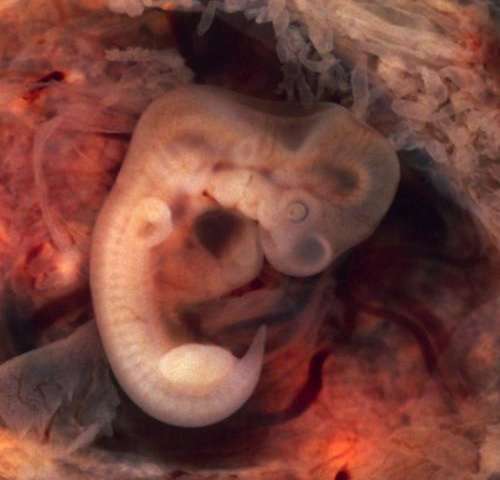 You don't have to do it with an embryo. Q: Why would a change that protects against HIV be an attractive candidate for gene editing in an embryo? A: I can't guess He's rationale. What they claim to have done is to have snipped out a gene that's necessary for the HIV virus to replicate. There are people born without this gene—they're rare, not common. But aside from being unable to contract HIV, these people do not seem to have problems linked to the absence of this gene. This gene is thought to be one of the safer ones to manipulate. But it may confer protection in ways we don't know about yet. It may help you in some ways and hurt you in others. So this experimental use could have unintended consequences we're not aware of, and that might not become evident for years in these twin girls. A: Overall, the safer route would have been to make this change in adults. There are trials underway to edit immune cells in an adult's bone marrow and blood cells in ways that would protect against HIV. You can actually take cells from a person at risk of contracting HIV and change them. You don't have to do it in the embryo. At the least, if you were going to proceed with editing embryonic cells to protect against HIV, one would envision doing it in primates before humans, to show it's safe. Q: How will the genetics community likely respond to this claim? A: From what I've seen already, people are sharing the view that it's premature to do this in humans. We really have to work out the safety better. I think there will be a major effort to determine just what's been done here. And it would be pretty easy to check: If they have removed this gene in these twin girls, a sequencing scan will confirm that. Q: What could come next for the field if these twins have actually been born? A: If they're normal and everything's fine, it's all good, I guess. In-vitro fertilization was certainly very controversial decades ago and now is used routinely. For these kids' sake, we all hope there won't be any issues, of course. But if there are off-target effects because something else was altered in their DNA, it will actually backfire and cause quite a bit of harm to the field. There's no question that these gene-editing techniques will be used in the future, but it just wasn't necessary to try them now, in embryos. Those 'safer techniques' that already exist may be surgery and stem cell treatment of which the discovery of stem cells in menstral blood was the nail in the coffin of the expected highly profitable stem cell treatment.